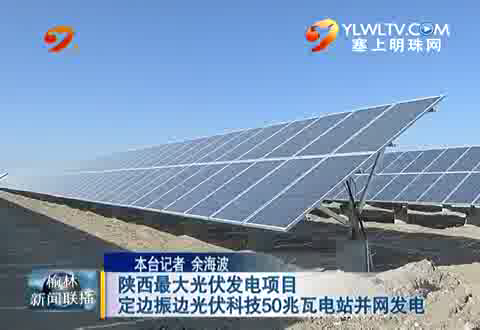 On Dec 27th, 2013, the 50MW Solar Plant which is invested and built by Zhenfa New Energy Science & Technology Co., Ltd has been connected with the Grid successfully. 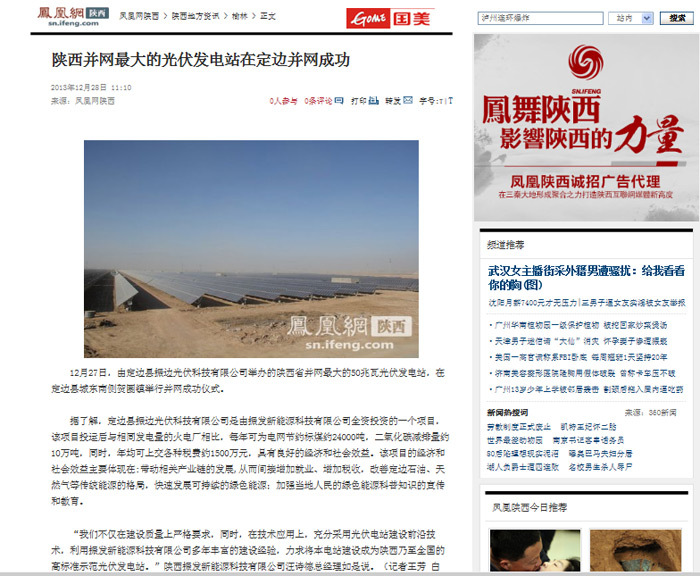 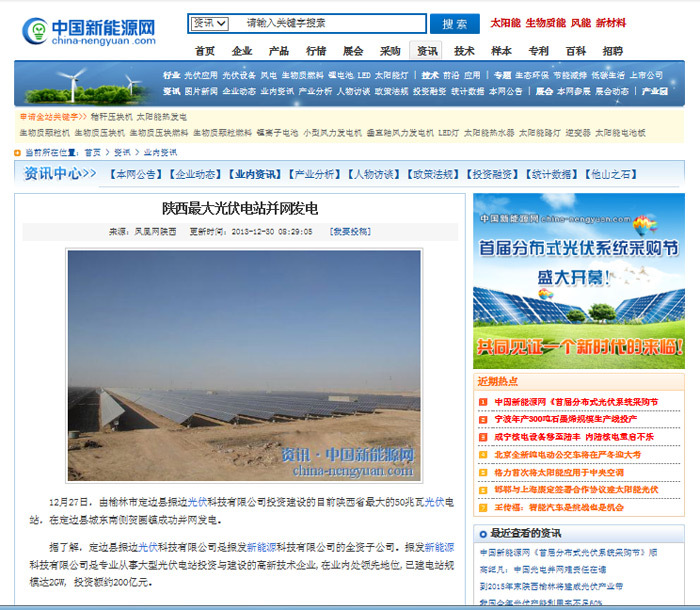 As the largest Solar Plant Project in Shaanxi Province, social media,e.g. 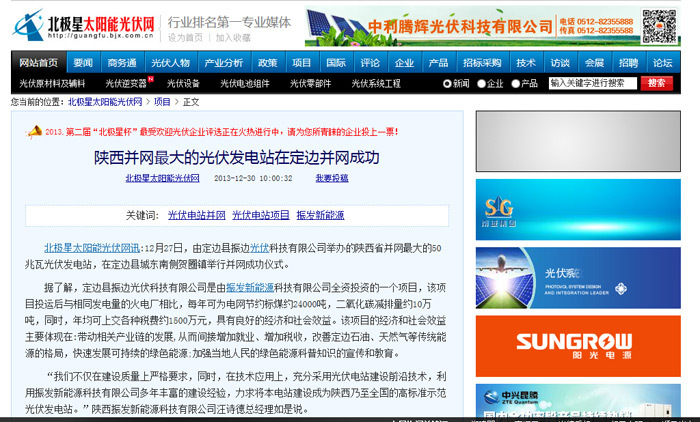 SXTVS, YLWLTV, YLRB, IFENG, etc has reported on this event particularly, and some famous websites in the industry, e.g. 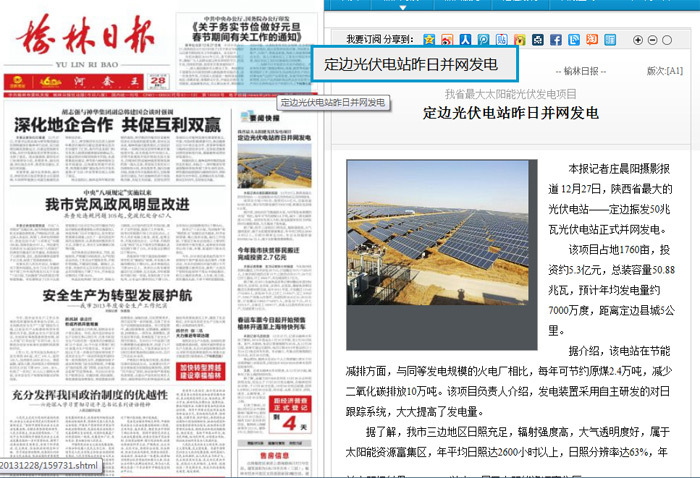 www.newenergy.org.cn and http://guangfu.bjx.com.cn/ have reprinted these reports.